Five Star Products has engineered a versatile grout material for supporting machinery and applications requiring precision alignment. This cement-based, nonmetallic, non-shrink grout offers superior compressive strengths that rival epoxy-based grouts without the added expense. 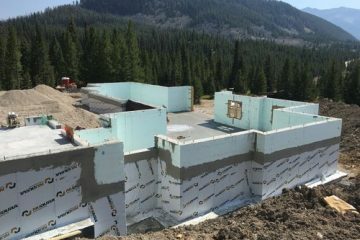 Technology to increase the durability of the hardened concrete, it offers a 95% effective bearing area (EBA), meaning less voids and a better bond. The smooth consistency of Hybrid Grout results in optimal flowability for both pumping or pours. 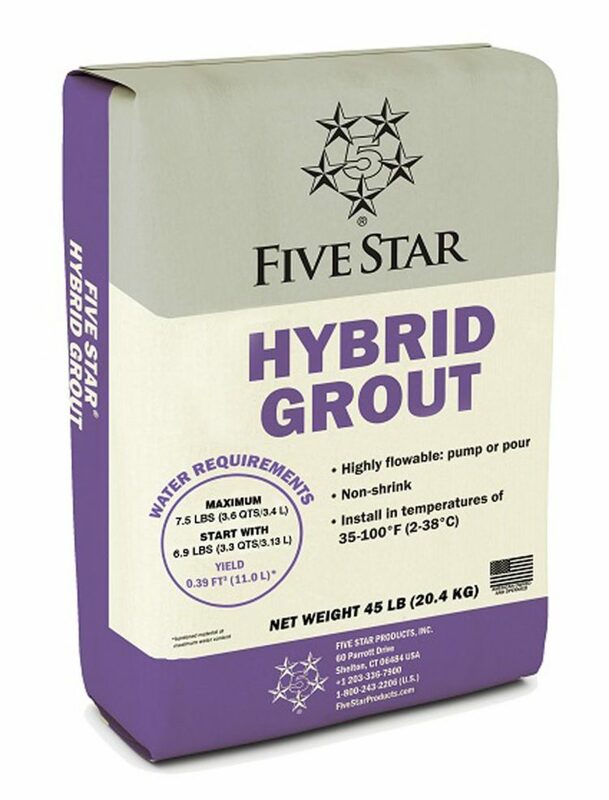 Five Star Products’ new Hybrid Grout performs impressively as a multi-purpose product over a wide temperature range of 35-100°F (2-38°C). As a fluid grout meeting ASTM C1107, it can be used to grout anchors and dowels. Its non-shrink characteristics make it stable and capable of handling load transfers and to support tanks, vessels, wind turbines, compressors and turbo equipment. As with all Five Star products, Hybrid Grout installations are supported by highly professional onsite assistance on demand and on time. 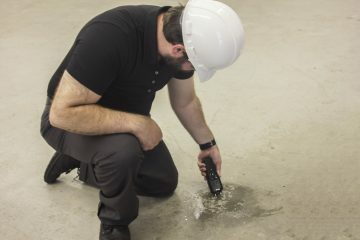 When necessary, experienced field engineers, backed by a veteran tech support team, are dispatched to work together with customers right at the jobsite. Five Star Products is family owned and operated.